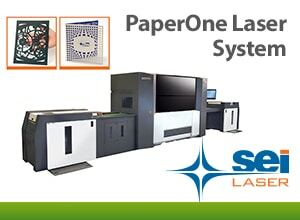 SEI Laser PaperOne 5000 is the most innovative CO2 LASER system Matik, Inc.
SEI Laser PaperOne 5000 is the most innovative CO2 LASER system for laser die-cutting, microperforating, piercing, engraving, bleaching and marking paper sheets, cardboard and adhesive-coated paper. It is also compatible with PP, BOPP and PET. PaperOne simplifies and unifies different processes. 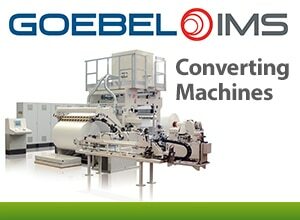 It is the most flexible and fastest machine for complex die-cutting for micro-packaging and brochures, greeting cards, literature, pinstriped paper, posters, envelops and more. This flexiblity is unreachable by traditional die-cutting machines. PaperOne is the only system able to deliver perfect register. 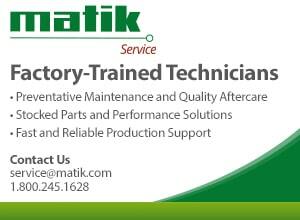 All processes are performed in single sample or batches, ensuring high productivity and accuracy. 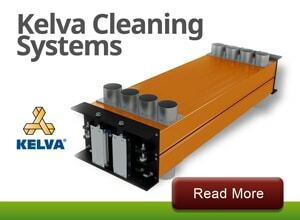 This provides wide flexibility for many applications. Thanks to a fast, accurate feeder it can feed many different sizes up to 19.65 x 27.55 inches (50 x70 cm) and thickness from 0.007 inches (0.20 mm) up to 0.027 inches (0.70 mm).